In 1722, the ‘hardware’ manufacturer William Wood was granted a patent to produce copper coins to the maximum cash value of up to £108,000 for use in Ireland. This patent was allegedly secured by a bribe of £10,000 (a not inconsiderable sum in those days) to the Duchess of Kendal, a long term mistress of King George I who moved to England to be close to him. Although disliked, she accumulated a series of titles conferred upon her by George after he moved to England and became king. 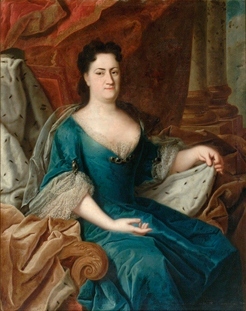 Ehrengard Melusine von der Schulenburg, Duchess of Kendal, Duchess of Munster 1667 – 1743) was a long-time mistress to King George I of Great Britain. She was born at Emden in the Duchy of Magdeburg. When Wood produced copper coins, assays showed his coins to be significantly underweight and undersized, as well as being made from inferior materials, i.e. not 100% copper. Despite all of these faults, they were approved by the British Parliament for use in Ireland. In fairness, they were heavier and of better quality than many of the unofficial farthings (halfpenny and penny tokens of the previous century) that still persisted. Drapier’s Letters is the collective name for a series of seven pamphlets written between 1724 and 1725 by the Dean of St Patrick’s Cathedral in Dublin, Jonathan Swift, in the form of ‘open letters’ to arouse public opinion against the new coins. 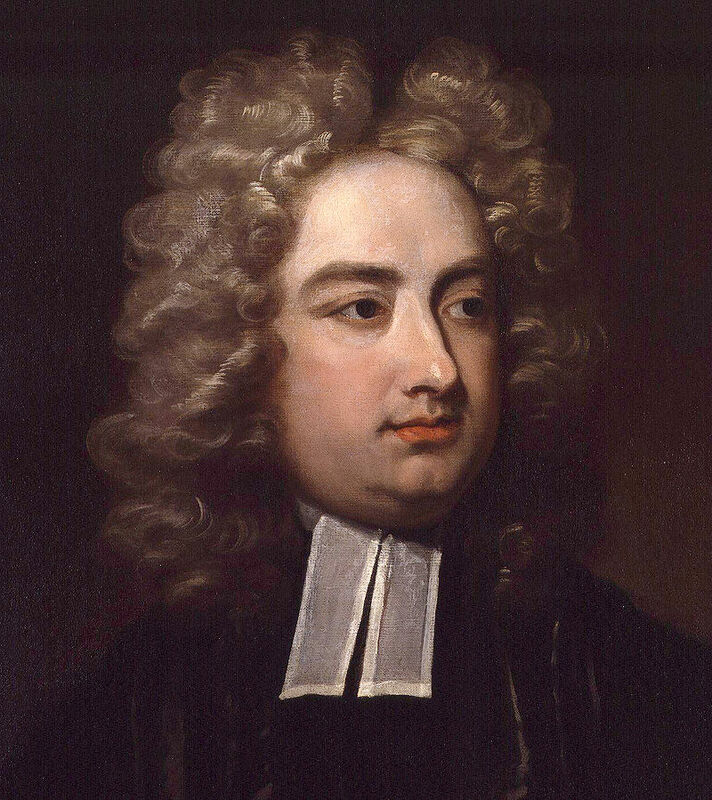 Jonathan Swift (1667 – 1745) was an Anglo-Irish satirist, essayist, political pamphleteer (first for the Whigs, then for the Tories), poet and cleric who became Dean of St Patrick’s Cathedral, Dublin. Swift is remembered for works such as Gulliver’s Travels, A Modest Proposal, A Journal to Stella, Drapier’s Letters, The Battle of the Books, An Argument Against Abolishing Christianity and A Tale of a Tub. He is regarded by the Encyclopædia Britannica as the foremost prose satirist in the English language. Swift represented Ireland as constitutionally and financially independent of Britain in the Drapier’s Letters and this amounted to sedition and treason in the eyes of the Westminster Parliament – especially since the Act of Union between England and Scotland (to form Great Britain) gave much more economic and political power to Westminster. Since 1707, any idea that devolved authority back to Scotland was a politically sensitive subject, and Irish attempts to gain more freedom could not be tolerated. Swift, therefore, had to be careful to write under a pseudonym (M. B., Drapier) to protect himself from retaliation. Pretending to be a draper, he published seven pamphlets. The letters were publicly condemned by the Irish government, with prompting from their political masters in the British government but there can be little doubt that most people in Ireland, including members of the Irish Privy Council, knew that Swift was the author of the letters. It seems unusual that no one reported him to Walpole’s administration, but in the event of this happening, there seems to be insufficient legal proof to merit litigation. Popular history and simplified accounts often overlook the huge conflict of interest that underlay the actions of the ruling classes in Ireland, i.e. the ruling ascendancy class was based on nepotism, insider dealing and monopolies. The related subjects of currency and banking was a particularly lucrative money-making scheme – one that persists to this day, i.e. the banks make huge (easy) profits from currency exchange. At that time, there was periodic shortages of silver coins caused by the political decision to ‘under-value’ Irish silver, thus allowing private bankers to accumulate hoards of bullion (silver) and then bringing from Ireland to England and selling it there at a big profit. The Drapier Letters inspired popular sentiment against Wood and his coinage. This quickly developed into a nationwide boycott and forced the patent to be withdrawn before he could finish production. In the end, the English government realized that opposition to Wood’s Money had to cease. As a compromise, Wood surrendered his patent. The remainder of the production run seems to have been exported to ‘the English colonies’ in America where there was a shortage of coin – thus these coins are collected by both Irish and Americans alike. Meanwhile, Swift was later honoured for this service to the people of Ireland, whereas he was really a hero of the ascendancy and private banking classes. Nowadays, the Drapier’s Letters are an important part of Swift’s political writings, along with Gulliver’s Travels (1726), A Tale of a Tub (1704), and A Modest Proposal (1729) but from my perspective, they are an important part of Irish and American Colonial ‘numismatic’ history. He was a not popular when he first came to Ireland and one wonders if he had failed, would he have been a convenient scapegoat. He could have been reported to Government circles at any time, but this did not happen. He helped the private bankers (and their families) stop Wood’s coinage. He might be considered lucky. Very interesting. Were these coins intended as legal tender or were they intended to be more like the later British copper tokens of the late C18th and early C19th? Can you post an image of one of them please? They were intended as legal tender but they were significantly lighter than regal halfpennies + they were not 100% copper – therefore they would not have been acceptable in England. If they flooded the market with them, they would have (undoubtedly) caused much more Irish silver coins to disappear from circulation – a scam of private bankers that either melted the silver as bullion, or exchanged them for gold coins. To do this effectively, they only needed a combination of small change or promissory notes (and IOU’s). If the market was flooded with these coins, it would have undermined their ‘small paper’ fees, i.e. private bankers made a margin on all transactions. In addition, the Irish parliament was not consulted and they were agitating for more devolved powers – the political intrigues between followers of the Tory’s and the Whigs (on both sides of the Irish Sea) also played a part. I’ve just posted a new blog article with the two types, the years and the varieties illustrated. The Irish parliament also played a ‘cute’ double game – openly condemning the anonymous author of the letters, while secretly agreeing with his objections. They, no doubt, knew it was Swift but chose not to report him as a suspect to the English parliament. They were simply trying to protect their financial services privileges, monopolies and authority – and the Whigs wanted to stop them from extending them even further.